My name is Kristi Whitaker-Krile. I am a teacher at Logan Elementary School in Ann Arbor, MI. I consider it a pleasure and my life's work to enable every child under my care to exceed their own expectations. I have a B.S. in Education, and a Masters Degree in Reading and Literacy. My kids learn to read so they may read to learn. 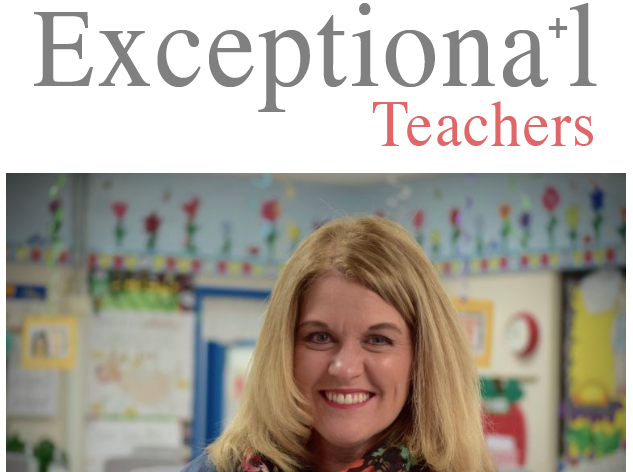 I was honored to be nominated as an Ann Arbor Exceptional Teacher. Read and learn a little bit about me and how much I love teaching tiny humans. Welcome to the 2017-2018 school year! As many of you know my sister Katie is a heart survivor. So many of you wore red with me in February to celebrate heart health. This month we are walking to raise money for the American Heart Association and I am writing to see if you might want to help this amazing organization. Team Katie is walking again this year and I wanted to share a wonderful update. A few weeks ago my sister Katie saw the cardiologist. He estimated her ejection fraction, the measure of how well her heart is working, at 40-45%. The normal number is 50%. After 8 years and lots of hard work, we can say she is beating heart disease! She was able to see my Emily, first of our five children graduate from high school in June. This is something 8 years ago we could only hope and pray would happen. Katie is living proof that money raised for research changes lives! Will you support our efforts this year to fight the nation's No. 1 and No. 5 killers - heart disease and stroke? We walk for Katie's heart, the millions of people who have been affected, and for their loved ones. We walk for people just like you and me who want to help make our community a healthier place. With your donation, we will fight for a future where a parent does not have to hear that their child has a heart defect. A future where an adult does not have to face the uncertain times ahead after receiving a diagnosis of heart disease or suffering from a stroke. A future where you and I will know that we had a part in making this possible. The power we have together far outweighs what we can do alone. I hope I can count on you this year. Your generosity means so much to our family! Everything you need to know is right here. Have a read!